Vortec Marine is a leading independent yacht refit, repair and maintenance service centre, based in the Solent on the UK South Coast.  Accredited as Nautor’s Swan Brokerage UK, Nautor’s Swan Authorised Service and Refit and Hinkley Yachts Service. Vortec Marine is proudly the UK’s official Nautor’s Swan Brokerage. Come and visit our new Brokerage section and view the boats and yachts we have to offer. Vortec Marine provides high-quality service and workmanship and is the only official Nautor’s Swan Approved Service Centre and Hinckley Yacht Service Centre in the UK. Vortec Marine provides yacht services from scheduled maintenance, rigging replacement, interior remodelling, damage repair and teak decking through to complete yacht refits for sailing and motor yachts. Explore Vortec Marine services. Services are available in any location but our primary bases are in Port Solent Marina (Portsmouth), Swanwick Marina (Hamble) and Endeavour Quay (Gosport). In addition, the Vortec maintenance team will fly to any European marina to provide a reliable yacht service. (Further afield by request). Our rigging services are kept in house and we have extensive experience, in particular with larger masts on Oyster Yachts, Nautor’s Swan Yachts, Jongert Yachts & CNB Yachts. Take advantage go our highly experienced delivery crew or utilise our professional network by letting its source you full time professional crew. Vortec Marine is also a recognised RYA Training Centre and offers a range of MCA Medical Courses, ISAF Offshore Safety, a unique fire-fighting simulation as well as private RYA sailing tuition. Explore Vortec Marine training.